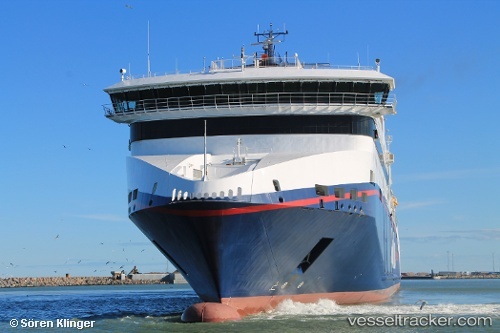 Wärtsilä, the marine industry’s leading solutions and services provider, has been contracted by Norwegian cruise and ferry operator, Color Line, to retrofit four exhaust gas cleaning systems to the company’s ‘SuperSpeed 2’ Ro-pax ferry. The contract was signed in June and the installation is expected to be carried out during docking of the vessel in spring 2014, said in the company's press release. The four separate Wärtsilä open loop scrubber systems will ensure the ship’s full compliance with the International Maritime Organization’s (IMO) MARPOL Annex VI regulations, and with EU Directive 2055/33/EC. Furthermore, there is an option to install the Wärtsilä system on three other Color Line vessels as well. By significantly reducing the emissions of sulphur oxides (SOx) and particulates from the engines’ exhaust, the ‘SuperSpeed 2’ will be able to operate without restrictions in designated Emission Control Areas (ECAs). Wärtsilä is the first manufacturer to have been awarded the IMO certificate for exhaust gas cleaning systems by the classification societies Det Norske Veritas and Germanischer Lloyd.